When it comes to London conference venues, we take pride in providing a comprehensive list of the best of the best. From meeting rooms Glasgow provides to the ultra-posh conference rooms in London, we like to cover all the bases. However, there is a special place in our hearts for unique and feature worthy venues. Today we're taking a closer look at the top three conference centres UK provides that you should consider for your next company conference or meeting. Overlooking the beautiful River Clyde sits the breathtaking Crowne Plaza Glasgow. As one of the best spots for meeting rooms Glasgow offers, the Crowne Plaza features 15 meeting rooms, which can hold up to 800 delegates. There is also a covered walkway that takes delegates to the Scottish Exhibition & Conference Centre, and flexibility to accommodate virtually any group. For delegates who need a break from all the activity, the Crowne Plaza also provides a relaxing Conference Cafe to grab coffee and snacks. For one of the best experiences that any conference centres UK provides, then consider the Crowne Plaza Glasgow. 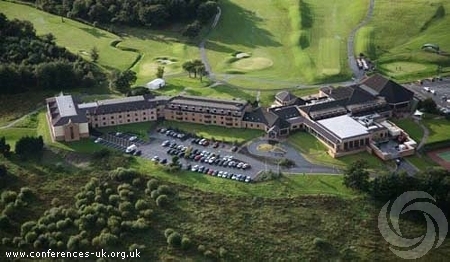 Considered by many to be the jewel of Scotland, The Westerwood Hotel and Golf Resort is famous for its high-end amenities and beautiful property. London conference venues are better known for offering all the bells and whistles one expects from a meeting room, but The Westerwood does an excellent job of keeping up. Sitting at the midway point between Edinburgh and Glasgow, this venue is extremely convenient for businesses who need easy access. With six recently refurbished meeting rooms and FREE Wi-Fi, this is one of the best spots in Scotland to hold your event. If you're looking for a unique destination for your next conference or meeting, then the Rutherglen Town Hall is it. Perfectly designed to be used as a training facility, meeting room, or busy conference, this location allows you to use your imagination. With meeting rooms equipped with audio and visual equipment, a PA system and projection screens, there isn't much you can't do there. There is also in-house technical support should you run into any glitches along the way. There really isn't much else you could ask for in a conference venue. London conference venues offer you modern technology alongside unique architecture, but what's available in other conference centres UK has to offer can be just as great if not better. If you're seeking meeting rooms Glasgow businesses provide, you can expect the best facilities in addition to charming customer service. Consider these top three conference centres for your next meeting and experience the difference they can make in your event.